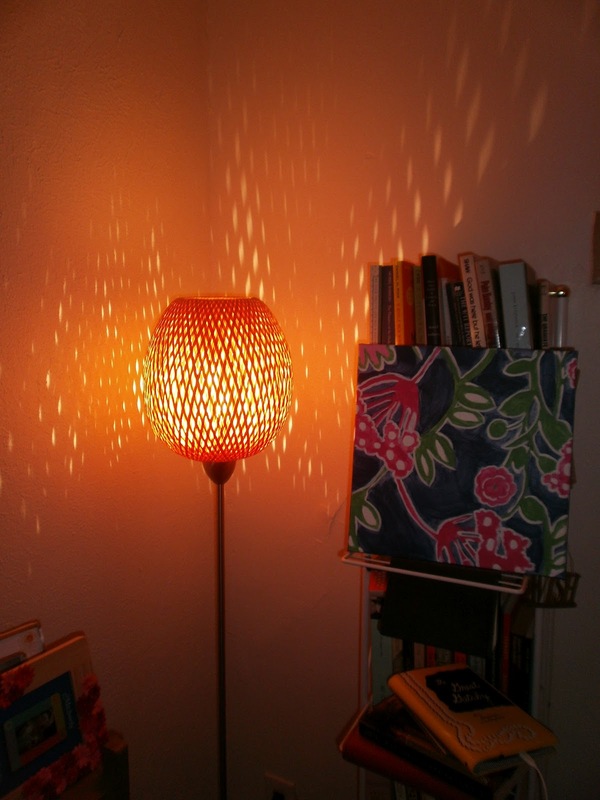 Something Delightful : Guest Blog: Pineapples, A Welcoming Decor! Guest Blog: Pineapples, A Welcoming Decor! It incorporates two of my favorite things: pineapples & blue crabs!!! Pineapples, the welcome fruit, invoke a feeling of hospitality and freshness. 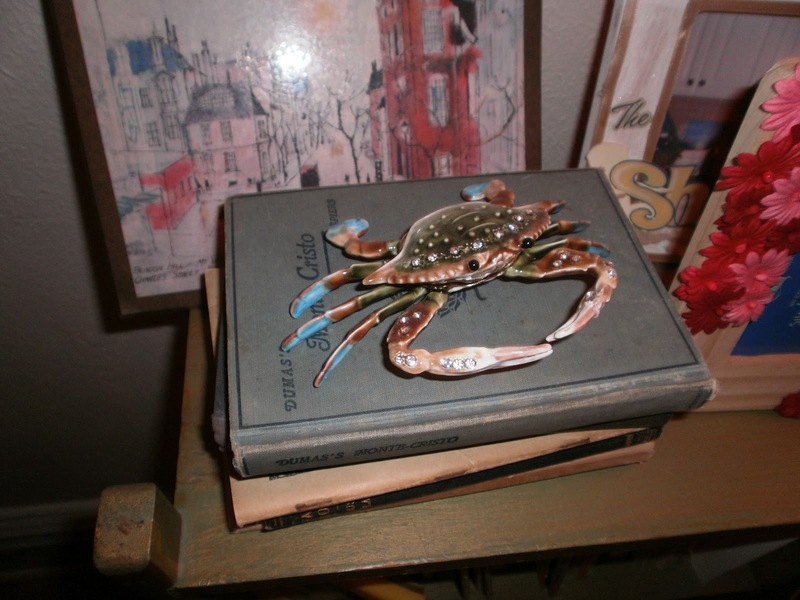 Blue crabs are near and dear to me since I was born in good old Baltimore :) I live in Pittsburgh now where I don't get to see my favorite things everyday, so I've incorporated them into my home decorating! Here are some of the ways I've decorated! 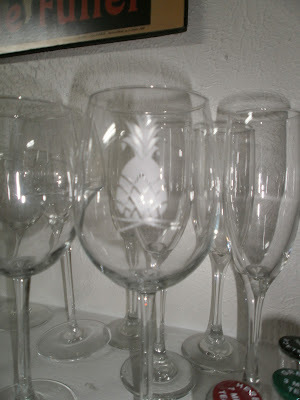 Etched glass wine glasses! I know this isn't the best picture, but these are the prettiest wine glasses. You can get them here. This lamp is in my office area. It's the girliest part of our apartment, which I share with my boyfriend, Eric (as if the Lilly canvas didn't tip you off!). Ok, so this isn't technically a pineapple, but it looks like one to me, so I count it! You can get your own in an Ikea store or online. I love this pineapple wreath on my front door! It's handmade with vintage books! How pretty! You can get your own from Pickwick Papers on Etsy. A front door wreath is the best way to incorporate the welcome fruit into your decor! (especially for a pineapple beginner!). Thanks again to Rachel! I hope this has inspired you guys to decorate with the things you love! Hi Rachel, Thanks so much for your sweet comments on my blog Sweet Like a Song! I tried to email you back but it says your a no-reply comment blogger, boo! Anyway, my custom made dresses are from a store in Columbia, SC called LaRoque. They are wonderful! Excited to follow along with your blog!